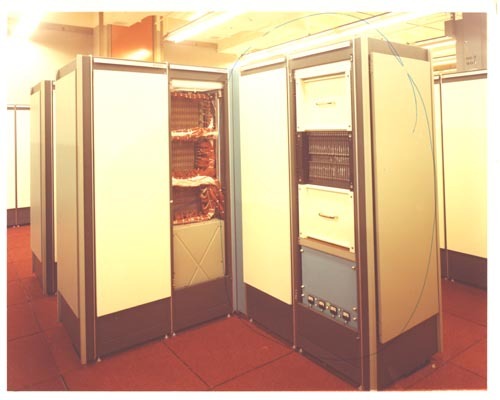 Color.View of TI ASC System Component cabinets. There are several cabinets. Two have covers removed to show siring and other features.